Block paving involves the use of bricks to create driveways, pavements and patios, among other installations. Brick paving is less challenging to install compared to common alternatives, but it still requires skilled experts. 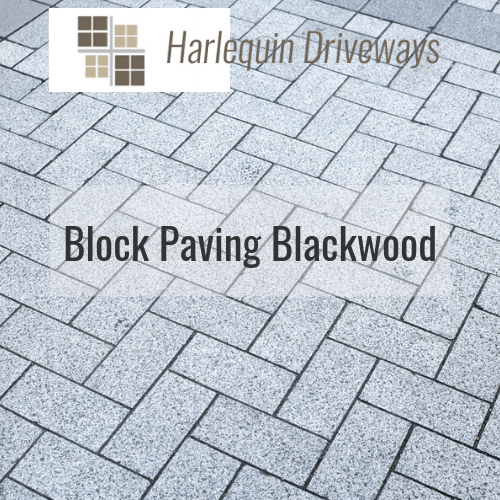 In Blackwood, Harlequin Driveways is the go-to company for professional block paving services. We are a leading installer of driveway paving in the region thanks to our trained and highly experienced contractors. Clients can expect durable and good-looking installations that are designed to meet specific requirements. We offer a huge range of paving solutions to satisfy the different types of residential customers that we work with. One reason brick paving is a popular choice for driveways is the wide design selection that it provides. Driveway paving is available in different sizes, colours and styles, which make it possible to have customised installations. A property owner can pick a driveway design that matches a certain theme because pavers can be laid to come up with specific patterns. We have designers who will help craft a plan that brings the best out of your outdoor area. Do you prefer a circle pattern in your driveway or coloured blocks? At Harlequin Driveways, we can help with ideas for block paving to ensure that clients get the best installations. Homeowners can get beautiful patios for their gardens, paths and even steps that add charm to the place. The Herringbone pattern is the most common because it interlocks the blocks to provide stable surfaces that can accommodate vehicle use. Our installers use several other techniques for different types of block paving whether it's garden patios or driveways. We use high-quality pavers, sand and sealers to guarantee durable paved driveways. Our technicians insured services are available at competitive rates. For beautiful block paving for domestic driveways in Blackwood, contact Harlequin Driveways to get stunning and long-lasting installations with excellent water drainage.